MoreThe Law Center, P.C. 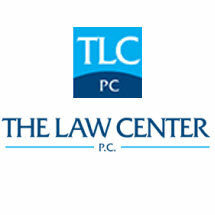 represents clients in matters of family law, divorce, criminal defense, DUI charges, estate planning, and more. We control your legal costs by utilizing our support staff and using cutting edge technology that allows 24/7 access to your case. You can have a high-quality legal representation with a law firm that knows how to control costs and create a strategic legal plan best suited for your needs by calling 303-351-2914 today to schedule your initial...The Law Center, P.C. represents clients in matters of family law, divorce, criminal defense, DUI charges, estate planning, and more. We control your legal costs by utilizing our support staff and using cutting edge technology that allows 24/7 access to your case. You can have a high-quality legal representation with a law firm that knows how to control costs and create a strategic legal plan best suited for your needs by calling 303-351-2914 today to schedule your initial consultation.